I've been working on upping my high-magnification photography game and it was snowing yesterday, so I figured I'd give snow a whirl while I had the chance. These are my first stabs at flake closeups, I'll be trying again. There is always the question of "why bother?" when other people have done it far better than I probably ever will. One is the technical exercise, and I freely admit enjoying overcoming the obstacles. It is a different challenge from non-moving insect parts as speed is somewhat important. No matter how cold you try to keep everything, they sublimate fairly quickly. It as also an exercise in colour. I opted for a light blue background with a hint of yellow fringe. The yellow ended up a bit mustardy, but I have a nice pile of colours to choose from and play around with for next time . But the main reason for me is my ongoing fascination with ice, and the various ways it forms (and here unforms before my eyes). 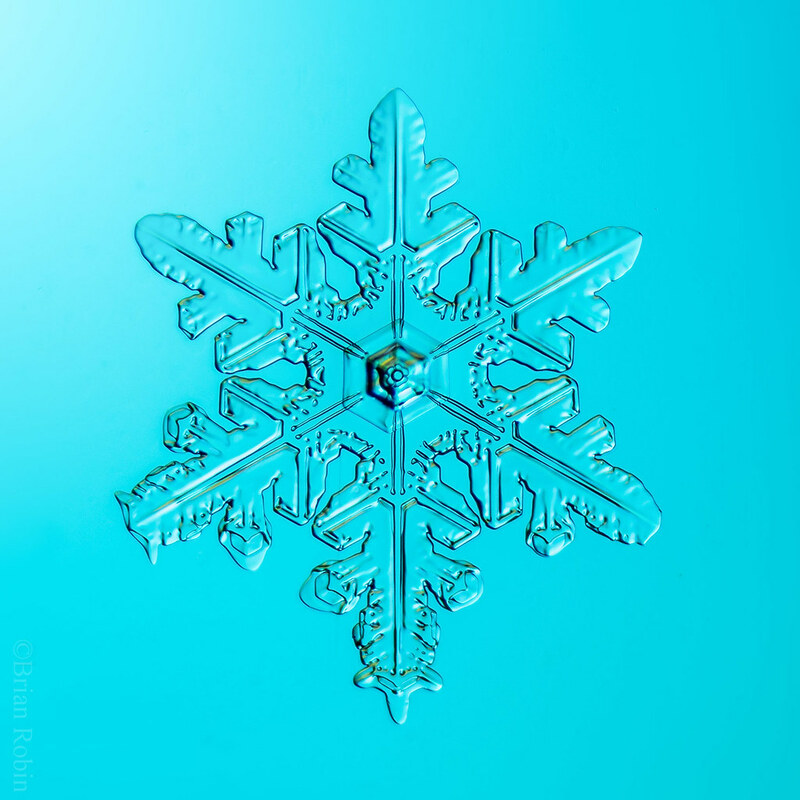 Ken Libbrecht's Snowflake Field Guide is a highly recommended read for anyone interested in snowflakes or even just ice formation in general. Seeing the stuff he describes with my own eyes makes it worthwhile. The lens is the bargain AmScope 4x that I read about here. I imported it from AmScope through the US Amazon and it came to just over $40CAD after taxes etc. 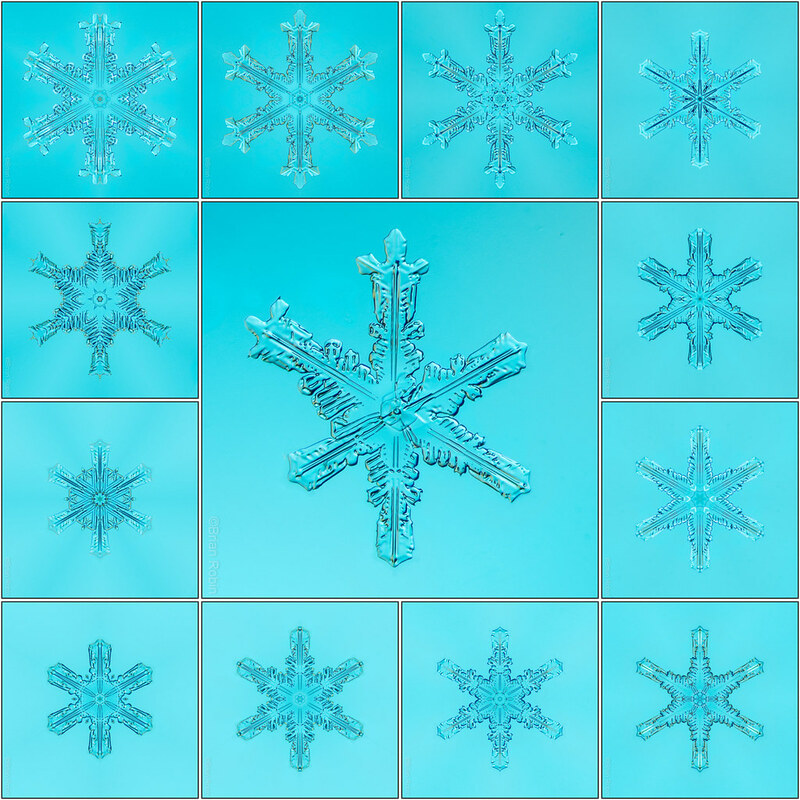 Still a massive bargain and my intended use with insect bits and pieces, but also works well on snowflakes. It's living on m42 extension tubes. More technical details in the flickr links for the interested. The first one involved a bit of cropping (it's ~1.8mm high), if the next flakes are this small I will be trying this AmScope on my smaller sensored but harder to work with Nikon J1. Maybe a Q of some sort (with its lovely little flash hotshoe) is in my future? For a stab they certainly hit the mark. Very nice. I'm getting the itch to try out a microscope objective. These are super cool. I'm in Vermont, the home of the famous Snowflake Bentley. 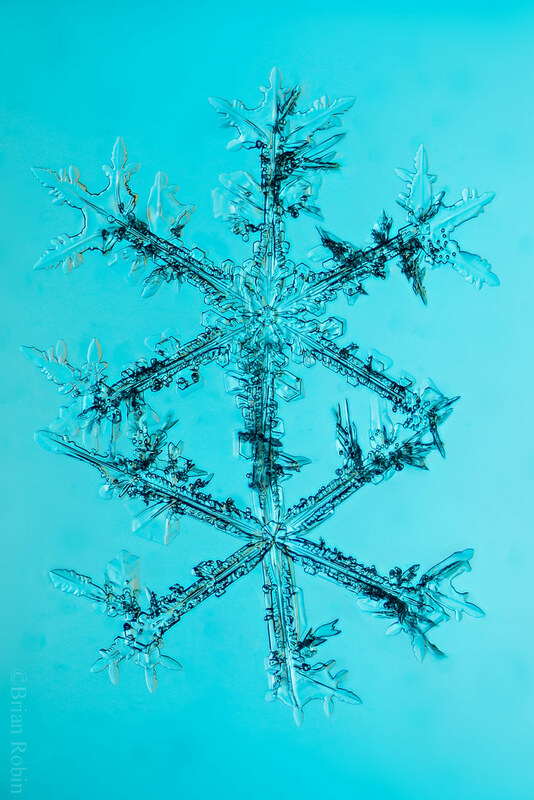 We love ice crystal images around here I have also recently taught a unit on snowflakes to some elementary school kids. For the first time ever while skiing I witnessed column crystals falling from the sky. This is very interesting subject matter. Please continue to share your results!